It’s no secret that the key to long-term endurance is keeping your body fueled for the workout ahead. During longer exercise regimens, your body needs an input of calories to keep moving. If it doesn’t get that necessary fuel, your performance will plummet, and your ride will ultimately suffer. Here is where the importance of food fuel comes into play. While you might want to start your day with an energy-boosting meal of oatmeal, fresh fruit, and milk, finding easily portable fuel food to take with you on the trails can be a little bit more challenging. After all, you can’t exactly make a full meal on the go. You should eat approximately every 45 minutes to keep your energy up and avoid the dreaded crash. So what are the best things to keep you pedaling for hours? We have a few ideas for you. Bananas are well loved by most endurance athletes. They are filled with potassium and complex carbohydrates which provide fuel for the long hours of pedaling. 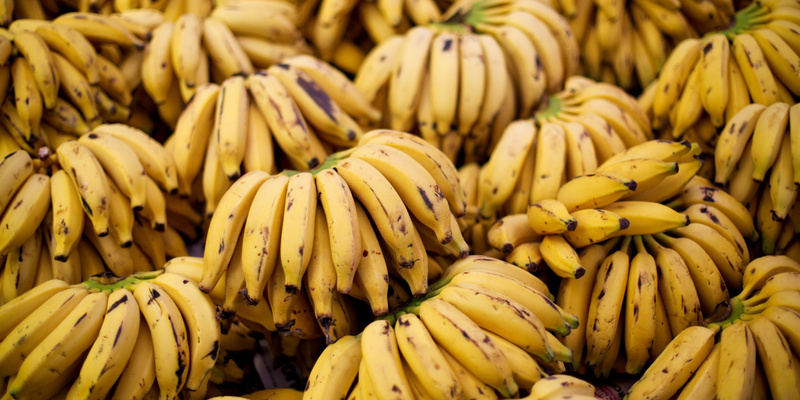 One large banana can contain up to 30 grams of carbs and 400 mg of potassium, making this yellow fruit a superfood for cyclists. Plus, it’s an eco-friendly option without the need for plastic baggies or reusable containers. Almonds, chia seeds, pistachios. Oh, my! The options are endless with these little energy boosters. While the carb count is lower, the protein, vitamins, and antioxidants aid in keeping you fueled for the ride ahead. 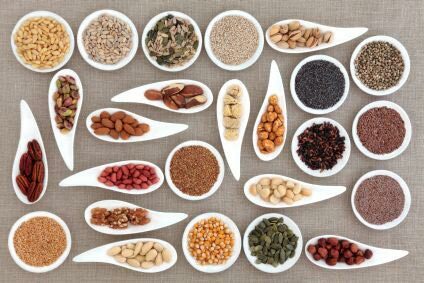 You can create a nut and seed trail mix or add them to your granola or energy bars. Studies have shown that certain dried fruits like raisins and dates can improve endurance-related performance substantially. They are high in potassium, carbs and sugar, all of which can add a super-charge to your endurance during your more lengthy rides. 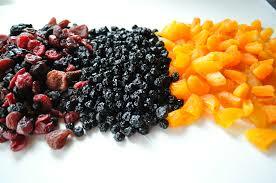 Plus, raisins are lower in fiber than many other dried fruit options, like figs, peaches or pears. So the unpleasant side effects that go along with fiber rich foods won’t become an issue while you are cycling. Electrolytes play a huge role in the healthy function of our bodies, from the regulation of nerve and muscle function to hydration. Electrolytes are comprised of calcium, sodium, potassium, phosphate, chlorine and magnesium. When you sweat, you lose a significant amount of these important minerals. While you need an electrolyte-infused drink, sports drinks can contain too much sugar and artificial colorings for many athletes. Instead of buying, try making your own electrolyte drinks at home with a little honey, salt, citrus, and water. It’s that simple, and it will keep your hydrated on your long, sweaty rides. You can combine two of the items off of this list (nuts, seeds, and dried fruits) and make your own energy bars. Flax seeds, rice cereal, chia seeds and rolled oats, the possibilities are endless. You don’t even have to limit yourself to sweet options. There are recipes for all kinds of savory energy bars, like this one with olives and sun-dried tomatoes. These bites provide all of the carbs you need to keep you going. Plus, they are easy to throw in your pack and eat on the bike. 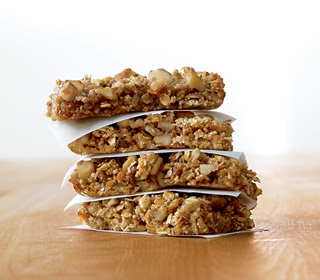 Do you have a favorite energy bar recipe? Share it with us! Don’t forget protein. Just as important if not more, than the 5. Too many riders that I’ve encountered neglect protein.